The Corvette. The great American sports car. Each new generation of Corvette brings new designs that reflect the unsurpassed style and performance of this legendary vehicle, and Corvette wheels are no exception. From the classic look of the C4 ZR1 rims to the aggressive new styles of the C7 Corvette wheels, Corvette rims have become an unmistakable element in the overall look of this American beauty. Our CV07 replica wheel offers an upgraded style designed for your Corvette, Camaro, or Firebird, and is available at a much more reasonable price than custom Corvette wheels. This version of our CV07 is an 18x10.5 inch black rim with a red stripe, designed to fit many Corvettes (C6 Z06 style), along with the 4th generation F-body Camaro and Firebird. This sporty rim will bring a fresh new look to your classic ‘Vette. 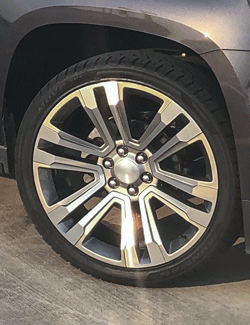 Whether you need chrome rims for your black Corvette, or your factory C5 rims have seen better days, our CV07 replica wheels will provide the look you want. 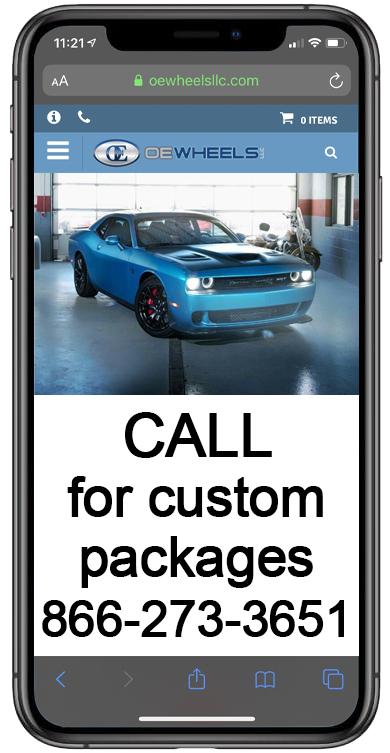 Please refer to our fitment guide for specific year, make and model applications. The CV07 replicas are available as triple plated chrome rims, gloss black rims, black machined rims, or black rims with a red stripe, and in 17x9.5, 18x9.5, 18x10.5 and 19x10 wheel sizes. As with all of our replica wheels, these chrome rims for Corvette, Camaro and Firebird carry a lifetime structural warranty and a one year warranty on the finish. 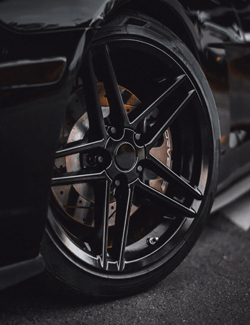 All of our rims are DOT approved and TUV certified, and have been side and load impact tested, so you can be confident in the quality and performance of replica wheels from OE Wheels.